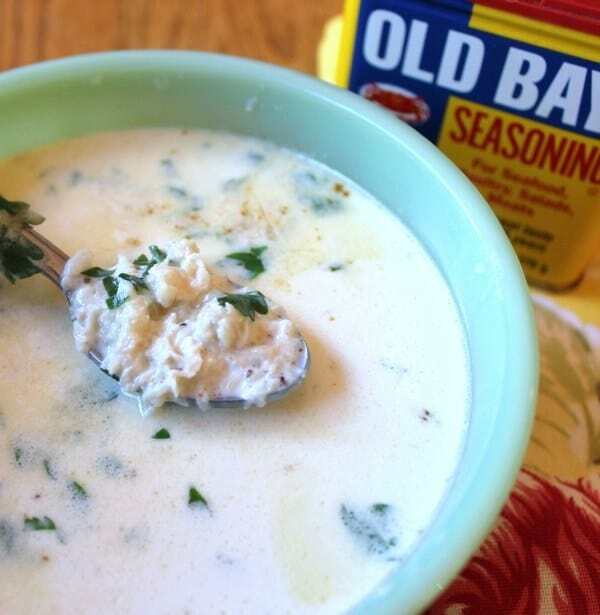 Cream of crab soup fits right into the category of the saying, “Maryland is for Crabs”. Being from Maryland, I grew up eating crabs all of my life. I remember the days of my Dad getting a bushel of crabs and the family gathered around the table hammering and picking all night long. As a result, it’s a ritual that I fondly remember, but also one that we don’t do nearly as often as we used to. 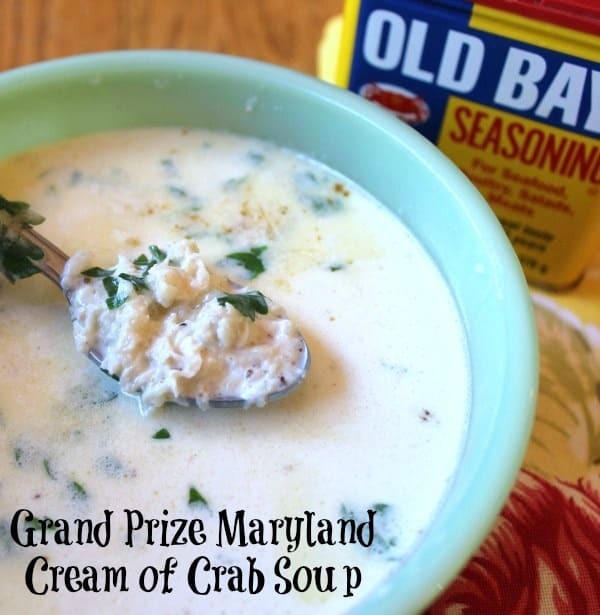 That’s why when I saw this recipe for Grand Prize Maryland Cream of Crab Soup, I jumped on it. But when I went to the store to get the crab meat already picked and ready to use, it felt like I was cheating because I didn’t have to spend hours picking crabs. However, it definitely has an allure to it! I found this recipe on Pinterest and clicked on the link to a site called Just A Pinch. 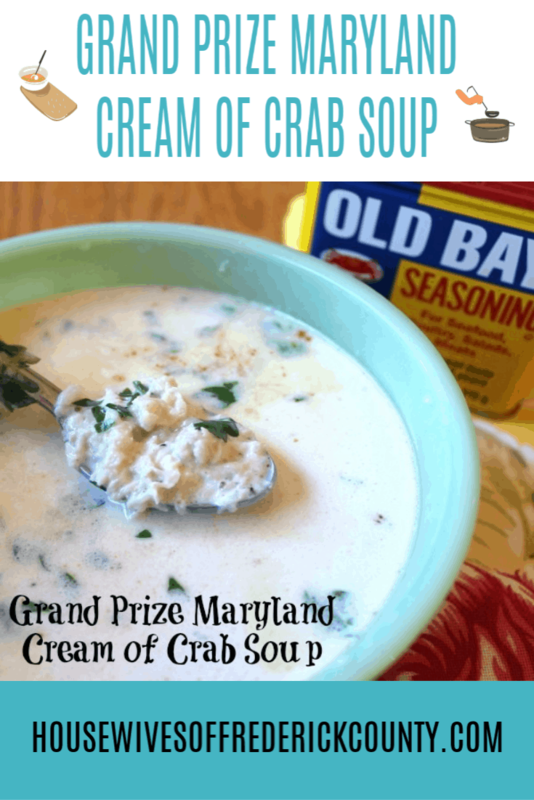 Most noteworthy, Ms. Charlese Smith, who was the Grand Prize Winner in the Soup Division at the 53rd Annual National Hard Crab Derby in Crisfield, Maryland is the person who gets credit for this wonderful creation. Charlese, you done us Marylanders proud! 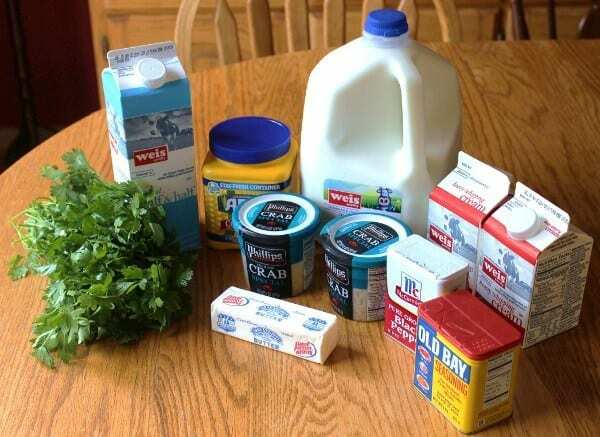 Bring milk, half & half, and heavy whipping cream to a boil. 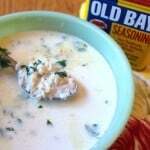 Add crab meat, fresh parsley, Old Bay Seasoning, butter, salt and pepper. When it starts to boil, make a paste with the cornstarch and cold water. Add the paste to the soup and bring back to a boil for 1 minute. My pictures do not do this soup justice. 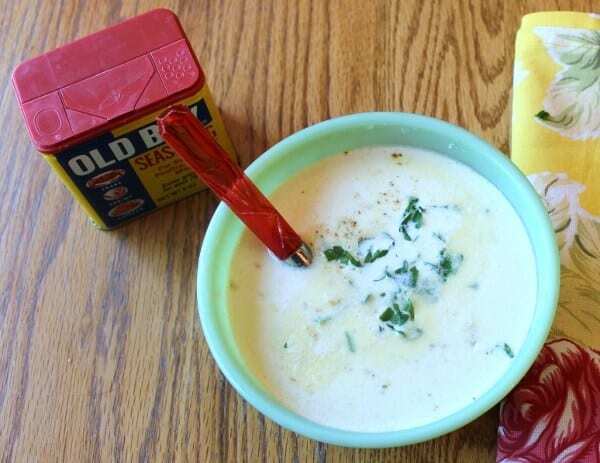 It really is an amazing cream of crab soup recipe. 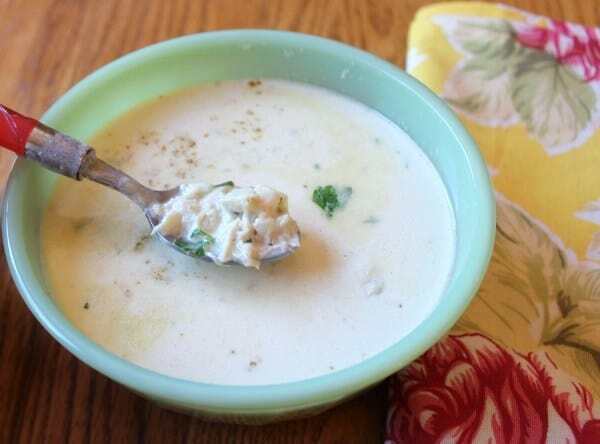 The picture on Pinterest where I found the recipe makes it look much chunkier with crab meat. Next time I might use crab claw meat to make it chunkier. 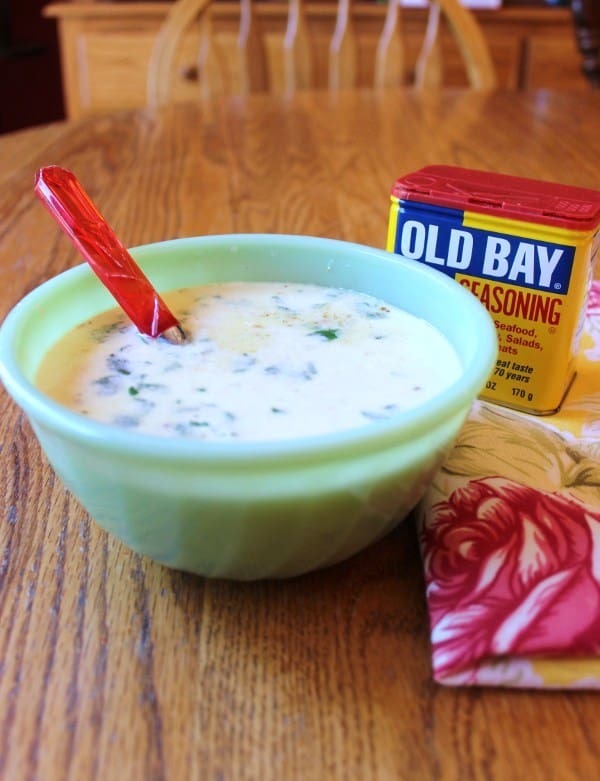 I added Ritz crackers and sprinkled on more Old Bay Seasoning (because I’m a Marylander and that’s just what we do) and it was sooooo delicious! If you’re one who likes onions, add some chopped spring onions to the soup just before eating it. Just like me, my husband grew up eating crabs all of his life as well. He was the true test as to whether or not I will be making this recipe again. If soup all over his goatee is any indicator, that would be a resounding yes! Next time we’ll be wearing our I Put Old Bay On My Old Bay t-shirts! Yum and Yum!!! I will definitely try this!!! Less clean-up from steaming and picking crabs!!! Hi Jenise, So sorry you’ve been getting lumps in the soup. 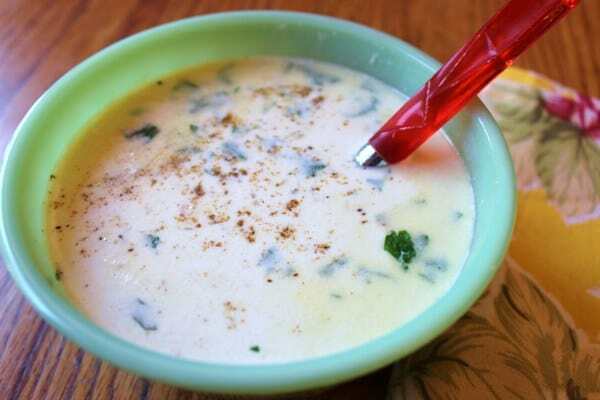 Try adding more cold water to the cornstarch and mixing well before adding it to the soup. It may be that 1 teaspoon of water isn’t enough. I Googled the cornstarch to water ratio and it says 1 tablespoon of cornstarch to 1/2 cup of cold water. Let me know if that works for you next time. Also, it says to only cook for one minute after adding the cornstarch and water. If you cook it longer than that, the cornstarch will break down. I hope this helps. I will change the details in the recipe. Thank you for your input!